Connect your application with our API and start sending SMSes today. 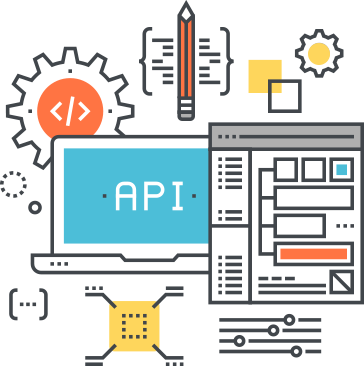 Easily SMS-enable your website, application or customer relationship management platform with our REST API. We offer comprehensive documentation that is easy to access and includes code samples. Our API supports Unicode and long messages, and allows for multiple web hooks to create and customise any workflow. You can use BSMS's HTTP SMS API to send SMS to anywhere in the Pakistan. HOW TO SEND SMS MESSAGES WITH BSMS'S SMS API? Make HTTPS request to SMS Messaging API. Check the response code and store returned Transaction ID to match DLR later. SMS is sent to the handset. Handset responds with Delivery Report (DLR). If DLR callback URL was configured in API Settings, BSMS forwards the DLR to you with the same Transaction ID. Setup is quick, easy and free. You can be sending SMS messages in just a few minutes! "user": "username", "password": "secret", "to": "923123456789", "mask": "BrainTEL", "message": "Your message"
Our Docs are such friendly that a normal user can also integrate API without deep knowledge.